Veronica is one of the first advertising entrepreneurs in Romania. In 1993 she started one of the first full service advertising agencies on the market, which has turned into one of the biggest communication groups in Romania. Lowe group means today 7 operating companies covering the entire spectrum of marketing services: Lowe (advertising), GolinHarris (PR), Initiative (media), BPN (media), SeniorHyper (digital), MobileWorks (mobile) and Medic One (healthcare communication). 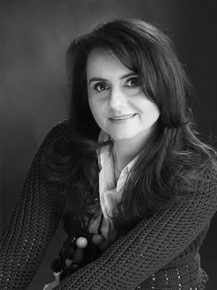 As a pacesetter of the industry, Veronica is founder and member in some of the strongest professional organizations in the local communication industry such as: RAAA, IAA, Romanian Advertising Council etc. Awarded “Most Admired Personality of the Decade in Romanian Advertising” by IAA and “Leading Women Entrepreneurs of the World” by The Star Group USA, Veronica has played a leading role in shaping and developing the Romanian communication industry. She also invests her passion in social causes (education, healthcare, Romanian culture) being founder and board member in prestigious NGO’s.